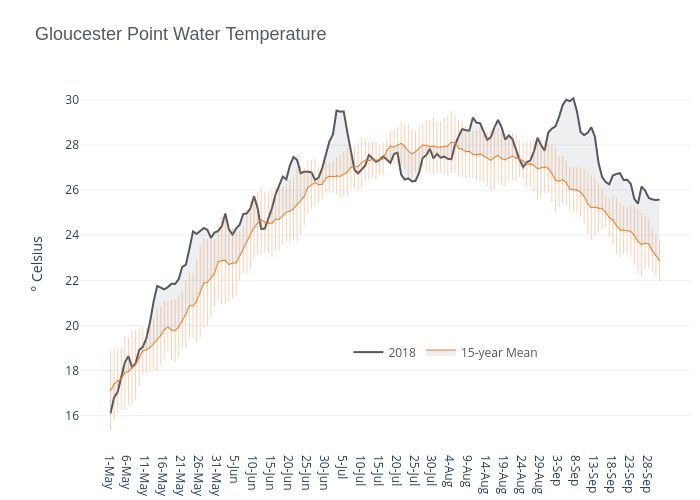 Dlmalm's interactive graph and data of "Gloucester Point Water Temperature" is a line chart, showing 2018 vs 15-year Mean; with ° Celsius in the y-axis. The x-axis shows values from -8.5 to 161.5. The y-axis shows values from 14.563888888888888 to 30.886111111111113.